Wayne Culbertson brings extensive operational and human resources experience to the Hamby Catering & Events team as its Chief Operating Officer. Previously, he held various managerial and director roles for Michelin, one of the world’s largest tire companies, and generally considered as the gold standard in hotel and restaurant evaluations. During his tenure in the international tire and mobility business, Wayne oversaw operations in the US, Europe, and the South Pacific. Wayne assisted in several firsts for Michelin - helping to open its first United States manufacturing plant, opening two Michelin Family Health Centers, the opening of Michelin’s first sales agency for Australia and New Zealand, and the first formal launch of Michelin’s famous restaurant guide for the UK and Ireland, and in 2016 secured the largest capital investment in Michelin UK in more than 35 years. He has been recognized for his expertise and professionalism by The Riley Institute at Furman University, the University of Oxford and HR Magazine. Wayne graduated with an engineering degree from Clemson University. He received an Executive MBA from Michelin Leadership Management and has studied at Harvard University, HEC Paris, Columbia University and The Kellogg School of Management at Northwestern. 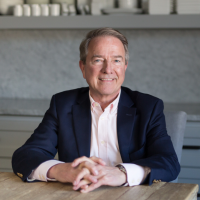 He has held influential board and leadership positions in multiple associations including the South Carolina Manufacturers Alliance, the Global HR Leadership Summit, MUSC Hollings Cancer Center, Clemson University, and the British Tyre Manufacturers Alliance. Wayne plans to apply his expertise in process and procedure, in hopes of streamlining overall operations at Hamby.